About Click Start Digital - Meet Our Team! We got started back in 2012 to help people create a profitable home-based business that can be run from anywhere! Our passion is helping anyone, with any level of experience create an income stream for themselves and their family, regardless of what their background is, and we believe this can be achieved within the eCommerce industry. Click Start Digital have offices located World-wide and we are the number 1 provider of eCommerce turn key business solutions. Our business was born 8 years ago, and to date, we have helped hundreds of people World-Wide create a profitable home based business within the online retail industry, all with little to no experience, and we want to help you too! To find out more check out the video! Sam is an Author (The Speedy Start Up) and the Founder of Click Start Digital. Sam has over a decade of experience in setting up, running, building & selling profitable online businesses. She has assisted one of Australia’s leading venture capital firms, Future Capital, with a variety of business initiatives to help grow their online start-ups. Sam is passionate about sharing her secret formula to success & helping people break into the online world and create their own home based business. Nikki is one of our many success stories and is now filling the role of General Manager. Nikki started an online clothing business and made $100,000 in sales within the first 6 months! She is now focussed on assisting others break into the online space by utilising her knowledge and experience to help guide anyone thinking of starting an online business. 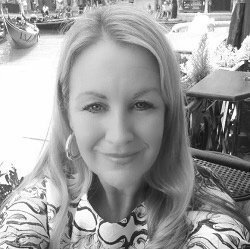 Nikki is motivated, energetic & passionate about driving success and helping people turn dreams into a reality. 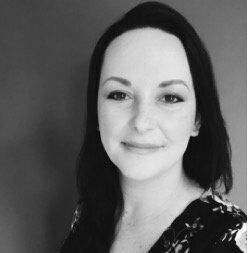 With over 14 years experience working with international businesses, Lyndsey is a multi-award-winning specialist in business development and e-commerce. Lyndsey is another online business success story, having built her own e-commerce business to over 800,000 orders per year & then selling the business for a hefty profit. Since then she has helped businesses increase their profits by over 200% in one year and helped clients raise millions of dollars in funding. 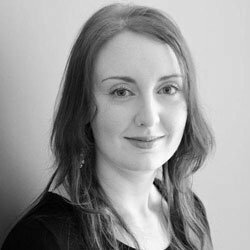 Rebecca is an ex-client of Click Start Digital and brings to the team over 15 years’ experience in Business and Marketing. Rebecca enjoys helping other people achieve their dreams and goals through building their own successful business within the digital landscape. She has extensive experience in WordPress, Woo Commerce and social media marketing gained through developing her own online home wares business over 3 years ago and can assist you to get your business heading in the right direction. 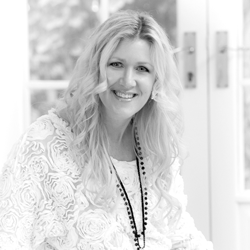 Leasa has a professional background in marketing, communications and events management. As part of running her own successful Digital Marketing business, Leasa has spent the last two years dedicated to helping entrepreneurs integrate their businesses into the online space. With experience in WordPress, email marketing and Social platforms, and her dedication to positive client experiences she will help your new business start off on the path to success. Freya brings to Click Start Digital over 10 years of corporate experience in Sales & Marketing and Administration, previously being employed by some of Australia’s largest TV, Radio & Media organisations. Freya is incredibly passionate about e-commerce and the opportunities it presents. Currently operating her own e-commerce websites, she cannot wait to share her knowledge and expertise to assist others achieve in this exciting, dynamic and everchanging sphere. Emma Thomas is an ex-client of Click Start Digital, and is now successfully running her own e-commerce arts and crafts business. She has working experience with Klaviyo, Word Press and Woo Commerce. Emma is also an experienced teacher and is passionate about helping people achieve their goals. She aims to help even the most novice of service users become experts in no time. Genevieve is an ex-client of Click Start Digital and has 8 years of experience supporting executives and managers to improve internal operations for small businesses. Genevieve also has experience in setting up and running her own E-Commerce business in the pet industry. Her diversified skill sets and strong attention to detail will help guide and support you to get your business started in the right direction. 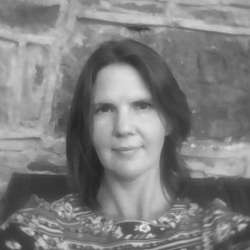 With a HND in IT and over 15 years of working in IT support, customer service and business related roles, along with 5 years of Word Press experience, Amanda is skilled in all aspects of preparing Woocommerce sites from their infancy stages through to launching. She has impeccable attention to detail with a strong background in administration support. Chester has been building, designing and managing world-class and high-converting websites for more than 10 years now. He has a wide range of skills within web development, digital marketing, search engine optimization (SEO) & graphic design. He doesn't settle for less in everything he does, and so he has been a valuable asset to Click Start Digital team in terms of administrative support and assistance. Charlyn is a graduate of computer programming and has over 6 years experience as a web developer and virtual assistant. Charlyn develops WordPress websites and manages products in Woocommerce, Jigoshop and Magento. She also has experience in web content management, website maintenance and other administrative duties. With over 12 years of experience in website design and development James continues to evolve in order to keep up with an ever-changing online world. After an education in graphic design, he made a seamless transition to web design in order to satisfy his creative aspirations. Skilled in everything from logo design to animation, James strives to be versed in all forms of web based imagery. Chris has a 16 year background in graphic design and web development. Chris is well versed in all aspects of web media, including the implementation and maintaining web-publishing platforms such as WordPress, and the implementation and use of social media. He graduated from the University of North London. Dzmitry has decades of experience in developing websites and creating WordPress themes. He has built over 300 WordPress websites to date and has loads of experience using PHP, jQuery, CSS & and other technologies to ensure your website runs at maximum efficiency. I have created and run my own successful online businesses, and sold them years later to walk away with huge profits. Since then I’ve been working with others helping them do the EXACT same thing. I’ve worked with over 450 complete newcomers and beginners and helped them earn an income online and that’s EXACTLY what I would like to help you do. I’m passionate about helping as many people as I can become financially independent and have more time to do the things that they want to do. Personally, I challenge the status quo, I work the hours I want to work, when I want to work them, and I believe EVERYONE should have this choice also. Click Start Digital have developed a foolproof system that streamlines the entire process helping you to get a new eCommerce business up and running and making an income within weeks. We have helped so many others with little to no business experience do this and I know we can help you too! We offer a unique service to help you have a successful online business, so visit our websites for sale page for more information, or click on the social media links for more information on my background.